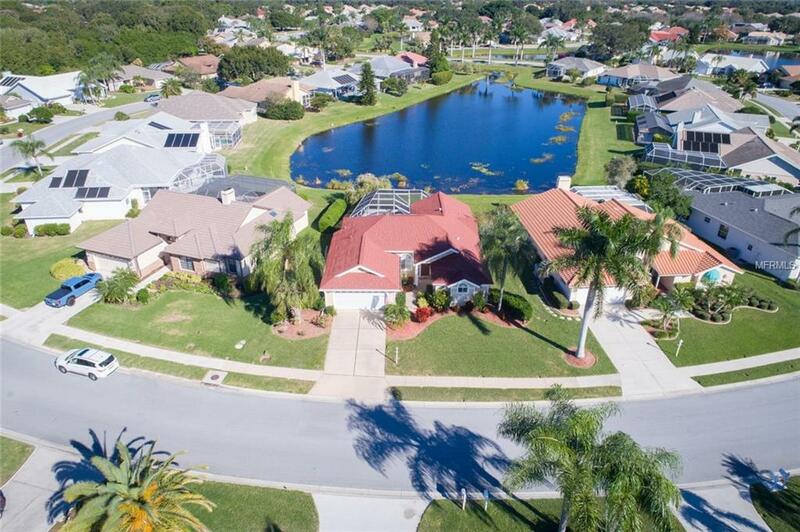 One of the more sought after areas of Sarasota and Palm Aire CC, Mote Ranch, has a new home for sale. Situated on a beautiful lake, you have sparkling views from the kitchen, family room and master bedroom. But, better yet, you can float in your pool to enjoy these views too. Charming 3BR/2BA home with the roof and AC approximately 2 years new along with other details updated by the owner. The kitchen has plenty of counter space, upper and lower cabinet lighting, vibrant countertops, stainless steel appliances and a breakfast nook overlooking the pool and lake. The master bedroom en-suite has a walk-in closet, separate bath and shower with a charming sitting area with views of the pool & lake. Bedroom 2 is being used as an office but does have a closet. 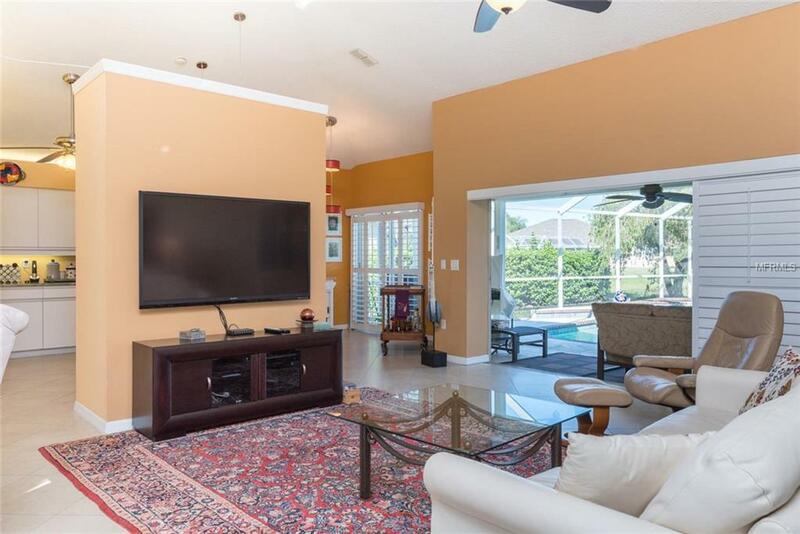 Spacious great room with separate area for formal dining and large laundry room with a wash tub and extra storage. Vaulted ceilings throughout (with 2 skylights in family room) and plantation shutters on all windows and sliders complete this Florida home. 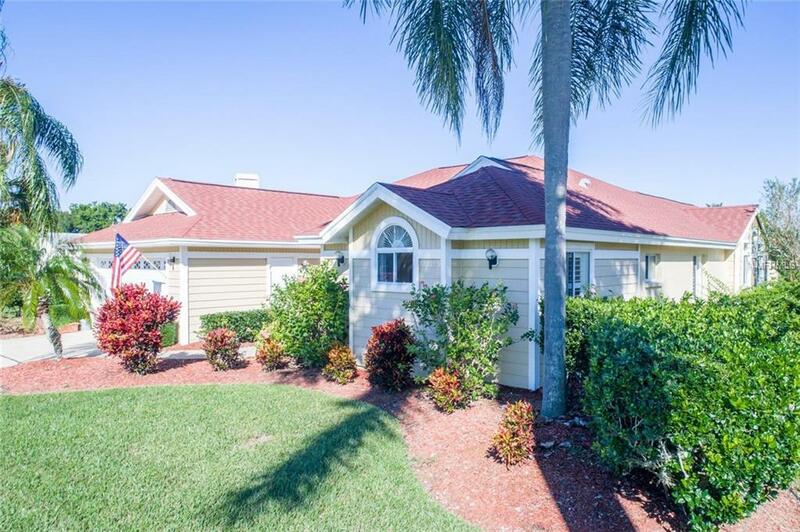 Mote Ranch is an ideal location to be minutes to the University Town Center Shopping districts and a short drive to downtown Sarasota and the cultural events offered there. Membership to Palm Aire CC is available and Sarasota International Airport is nearby. Low HOA and no CDD, you will love the amenities that are specific to Mote Ranch that include a kayak launch, pool, playground and fishing dock. 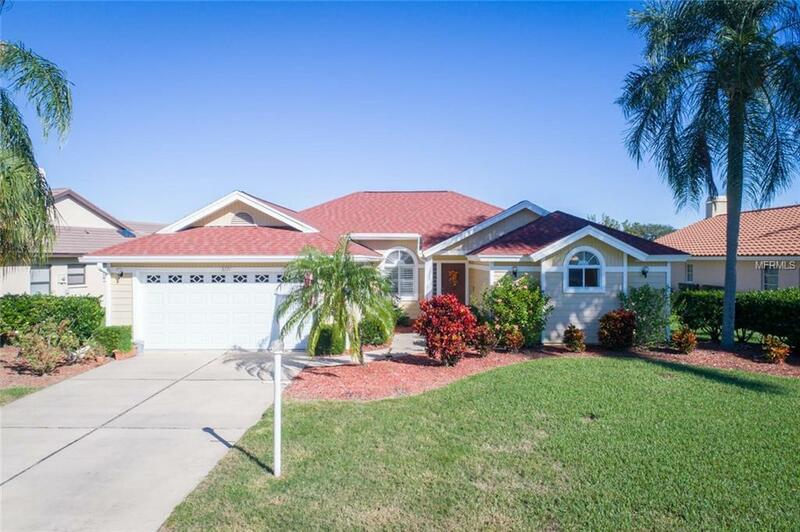 Come see this home and see what you would do to make it your own. Additional Lease Restrictions Tenant Approval Via Application. Amenities Additional Fees Membership To Palm Aire Country Club Available.